The 2010 Polaris Sportsman® 300 ATV combines full-sized features in a more agile & lightweight mid-sized package. 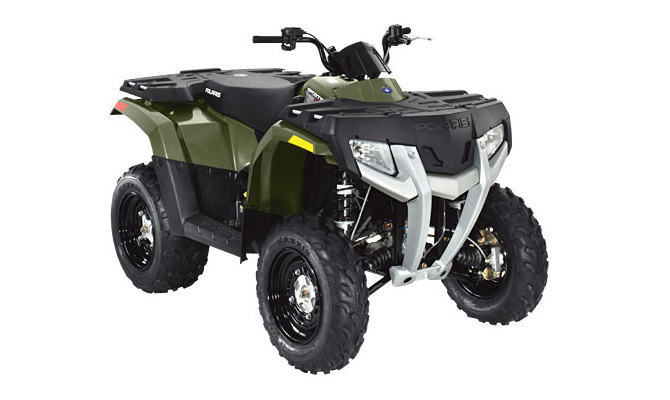 It is ideal for ATV trail riding, ATV hunting, and is the perfect mid-sized Utility ATV. Dry Weight 550 lb./249.5 kg. / 520 lb. / 235.9 kg. Fuel Capacity 4.5 gal./17 ltr. Front-Rack Capacity* 70 lb./31.8 kg. Rear-Rack Capacity* 100 lb./45.4 kg. Hitch Towing Capacity* 750 lb./340.2 kg.